is the principal of MacDonald Environmental Sciences Ltd., an environmental consulting firm that specializes in environmental assessment and ecosystem-based management. He is also the Canadian Director of the Sustainable Fisheries Foundation, a non-profit, charitable organization that is focused on the development and implementation of a sustainable fisheries strategy for west coast salmon and steelhead populations. Over the past 25 years, Don has published more than 250 journal articles, book chapters, and technical reports on a wide variety of topics related to aquatic resource management, natural resource damage assessment, ecological risk assessment, water quality assessment, sediment quality assessment, and ecosystem management. 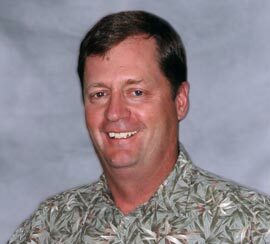 Don is a Certified Fisheries Scientist, a Registered Professional Biologist, and a member of numerous professional societies. is a senior fisheries scientist and conservation biologist with over 30 years experience and education in salmon and trout ecology and management, having worked as both as a government employee and as a private consultant. As a certified fisheries scientist, Cleve serves in a variety of leadership positions, providing technical analysis, policy guidance and management direction on salmon recovery, watershed planning, water and land use, fish passage and habitat protection, mitigation, and restoration. 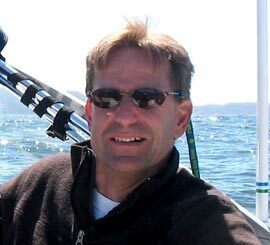 He was appointed to the Lower Columbia and Willamette Rivers Technical Recovery Team – a group of fisheries scientists handpicked by the National Marine Fisheries Service to assess the status of threatened and endangered salmon and steelhead in Washington and Oregon, and to advise federal and state agencies charged with their recovery. As past-President of the Washington Section of the American Water Resources Association, current Executive Director of the Sustainable Fisheries Foundation, General Chair for the American Fisheries Society’s 2011 Annual General Meeting (to be held in Seattle), and co-recipient (along with SFF Co-Director Don MacDonald) of AFS’ 1997 President’s Conservation Award, Cleve Steward is widely recognized for his contributions to his profession and his efforts to conserve fisheries resources. Cleve enjoys doing all things one usually does with fish.